Morzine’s hiking routes boast some of the most picturesque views in the Alps. The locals of Morzine have their own favorite hiking trails and are always happy to extend their knowledge to holiday makers. Whether you’re a keen hiker prepared to take on day treks around multiple valleys, or you are just wanting to go on a leisurely family walk – with over 200km of signposted trails, Les Portes du Soleil offers an incredible range of routes. Leisurely Family Walk – Parc des Dérêche, Morzine. The dereche is a great area to enjoy an afternoon in nature. Either side of the river, there is a pathway which leads you through a forest from the centre of town and back again. Every so often there are structured obstacles which people use for an all natural work out area or for a fun interruption from your walk. These obstacles range from balance boards to monkey bars and press-up areas. This walk starts from Morzine’s bridge and Sports Area; which include Ice-Rink, Skatepark & Swimming Complex. 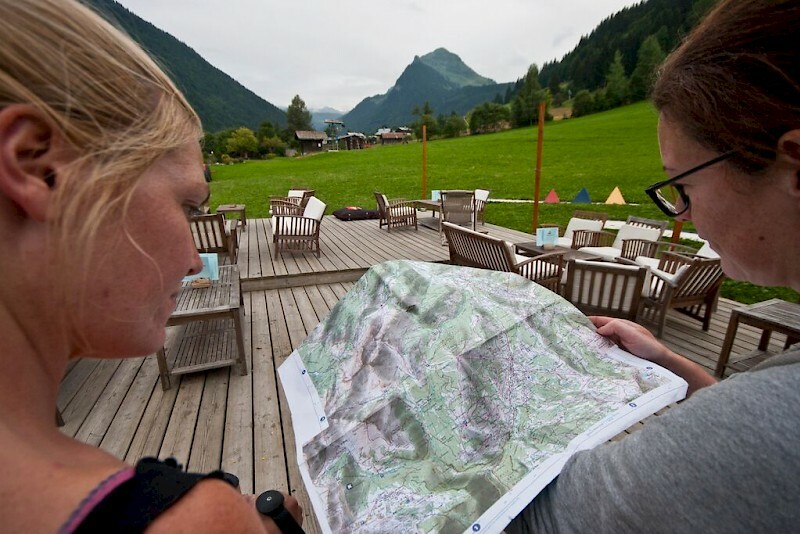 It can lead all the way to Montriond with the popular adventure mobile App ‘Geocaching’ providing some treasure points along this area to keep the whole family entertained whilst enjoying the landscape of Morzine. From Montiond you head up a guided pathway through a beautiful forest with each tree trunk creating a work of art merging a range of colours, shapes and sizes. Once you clear through the trees, passing a couple of old shepherds huts, the treeline starts to thin. From here you start to view over the Morzine valley and start to see right down to Lac de Montriond. The pathway in the height of summer is surrounded by wild flowers and sheep seem to become much more friendly over 1800m in altitude! When you reach the top you have a 360 view of the surrounding mountains stretching as far as Swiss & Italian mountains with Mont Blanc seeming very close on a clear day. If you keep a good pace you will get up and down in 4 hours 30 minutes, but it’s much nicer to take a small picnic and enjoy it on the plateau just above the tree line. Be careful here – the weather can close very quickly and the terrain is steep so wear walking boots. Lac de Montriond – Hike, Swim or Simply Relax. Lac de Montriond has to be one of the most unique and picturesque spots in the whole Portes du Soleil. Whether you want to go for a run, paddle, kayak, picnic or horse ride – Lac de Montriond provides the goods as a perfect location! Whether you use Lac de Montriond as your starting, lunch or finish point – there are loads of hiking routes around this area. We like walking from the Lac up to Lindarets passed the Goat Village when we have a full day free. Alternatively, you can hike (or run) from Morzine or Montriond up through the Lac de Montriond trail which crosses some very picturesque areas. The Mount Ouzon Tour is a longer and more challenging walk but provides some amazing views when you get to the top. Starting off from the Corbier pass above le Biot you take the forest track to Pas de l’Ours. Once at Pas de l’Ours you take the track to La Tire where you have a great view ok Lake Geneva and Mont Blanc! From there you take the path to Col de Nocodex up to Col de Plan Champ where you can join another path to Mount Ouzon. 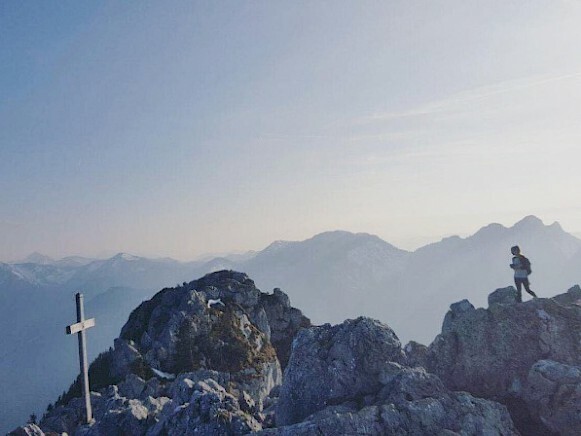 The hike takes around 7 hours to complete with it’s highest point at 1880m! These are just a small selection of hiking routes from around the area. On our Family Activity Weeks you can see a range of these places whilst undertaking some other very exciting activities. We still have availability left this summer, get in touch now if you’d like to experience one!